Policies on tackling homelessness are making it harder to create balanced communities, a group of housing associations has said. The organisers of a conference in Dumfries said new laws meant homeless people were leap-frogging those on housing waiting lists. In some areas more than 35% of homes had gone to people who had declared themselves homeless. The Scottish Executive said the laws helped those most in need. An executive spokesman said a "phoney contest" between homeless people and those on a waiting list failed to focus on the real problems faced by those who need help. He also dismissed criticism of policies on anti-social tenants. Ahsan Khan, chief executive of Dumfries-based Loreburn Housing, said current legislation made it difficult and time-consuming to evict serious troublemakers. He said: "You have to get an anti-social behaviour order, more than likely, before you can get an eviction. "That will take a minimum of six months and then a new short tenancy, which is created after the Asbo, will take a minimum of six months to end. "So you can imagine neighbours living in fear for over a year whilst the landlord struggles through a court process that is slow and expensively protects the rights of the anti-social tenant and ignores the needs of the victim." Dr Douglas Robertson, director of the Stirling University Housing Policy and Practice Unit, said that the executive had created high expectations of anti-social behaviour problems being remedied. He said: "They are almost turning housing officials into the police to remedy certain problems. "But as you can see from the legislation, the chances of doing that in a quick manner are actually quite constrained." Liz Nicholson, director of homeless charity Shelter Scotland, said that the Housing Act was drawn up with good intentions. She said housing associations were underfunded and could not build the number of houses they needed. 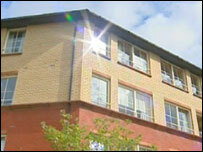 Ms Nicholson said that the act allowed housing associations to refuse to take on unreasonable homelessness referrals. She said: "If it is not reasonable, if they have too many applications from homeless people for housing in that area, which would create a ghetto, then they can refuse to house that person and the local authority has to look for somewhere else."